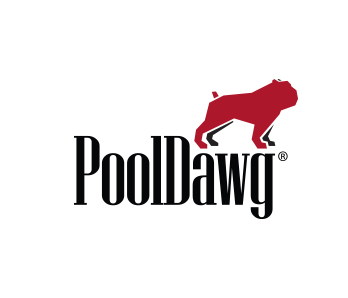 PoolDawg Red Sticker Patch - Easy peal and stick Patches for your case or pool shirt! Frank T. Dawg gets very happy paws when he see's all his customers in Vegas and all over the world sporting Dawg gear! Nothing makes him smile, wag, or drool more than seeing you all proudly display your love of the Dawg and he suggested that we get you all some new stickers! Check out this deep red PoolDawg patch-style sticker with Frank proudly standing on top of the PoolDawg name as if he is saluting your competition farewell from their loss! Or maybe he is protecting you - just like the PoolDawg 2x4 Hard Case protects your cues! These stickers are super cool and a highly durable material and just the right size to be stuck just about anywhere. Frank agree's - don't you? !